Oh. My. God. The precise words I said when I opened a parcel with these beautiful rose gold dreamy hair tools inside. I remember seeing the photos and blog posts when they were first released before Christmas and thought they were utterly beautiful, so it’s amazing that I now own them! Presented in a rose gold and black box with perfect sections for each item, it does have the wow factor when you unpack it. So, first of all, you get the GHD Rose Gold Hairdryer which is matte black with beautiful gold accents. 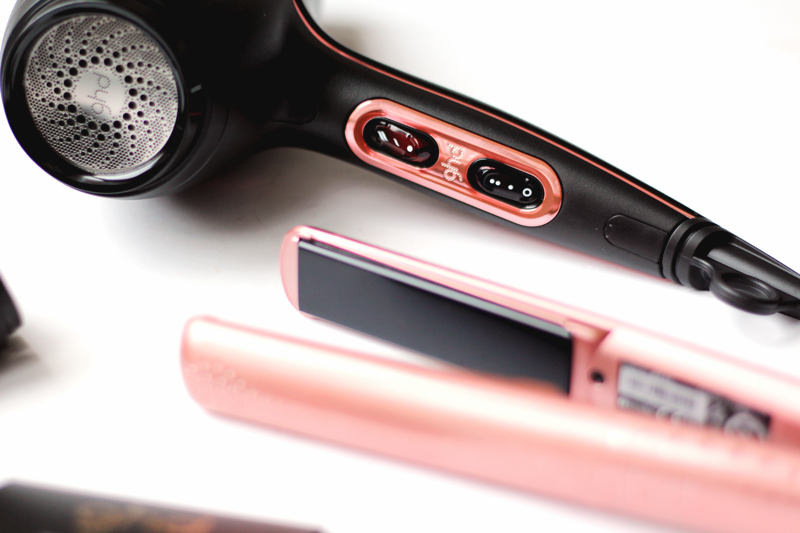 It packs a powerful blowdry at 2100w, so it’ll dry long hair at lightening speed, leaving a smooth finish. I haven’t actually used this yet, as I kindly received the GHD Aura Hairdryer for Christmas, but I’ve read so many impressive reviews on it that it’s definitely worth looking in to if you’re in the market for a new hairdryer. 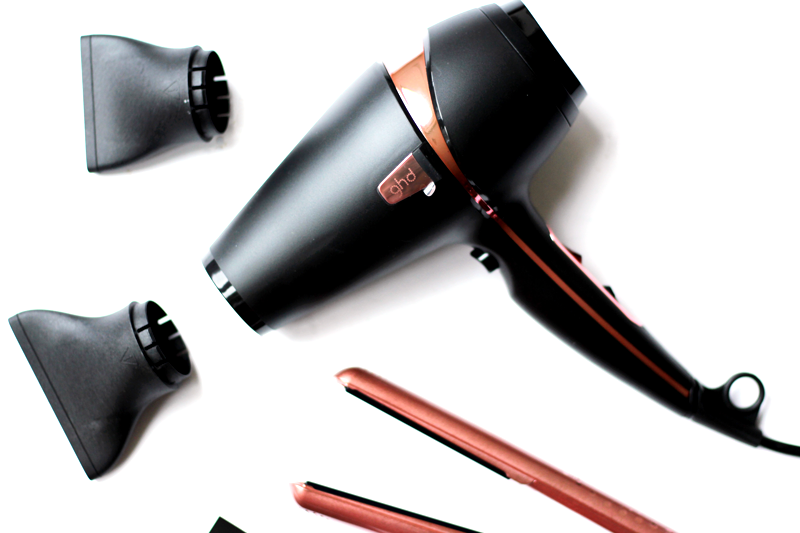 It comes with two nozzles, so you can really tailor your blowdry to your hair’s needs. Plus, the limited edition rose gold version makes it a little bit more special! 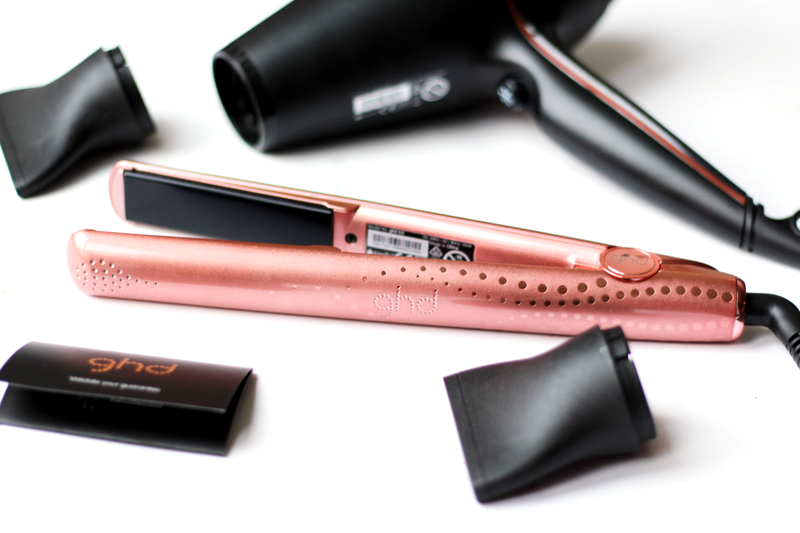 The other main piece of this wonderful set is the GHD V Rose Gold Styler. Just look at it – how pretty! I absolutely adore it. Now, before I got this one, I was using GHD’s that I got back in 2008 weren’t excatly the latest GHD technology (but testament to how long they last!) so I was happy to be brought into the present with these!. I love using them for everything from getting a sleek style to beachy waves to big bouncy curls. They have curved edges, so like using scissors on ribbon, you get quick and perfectly smooth curls every time! 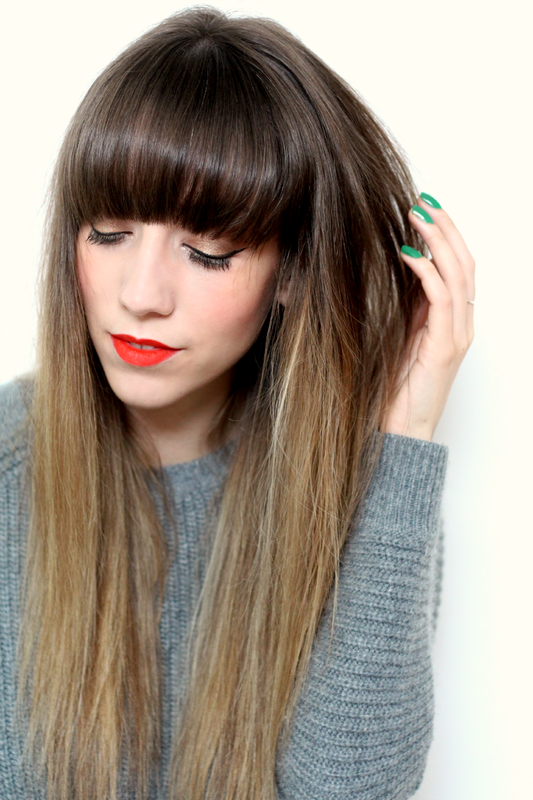 I can do my whole hair in around five minutes, so it’s ideal for those who can’t be bothered to stand with a curling wand and clamp every section! These items have been sent to me for review purposes, see my full disclaimer here.